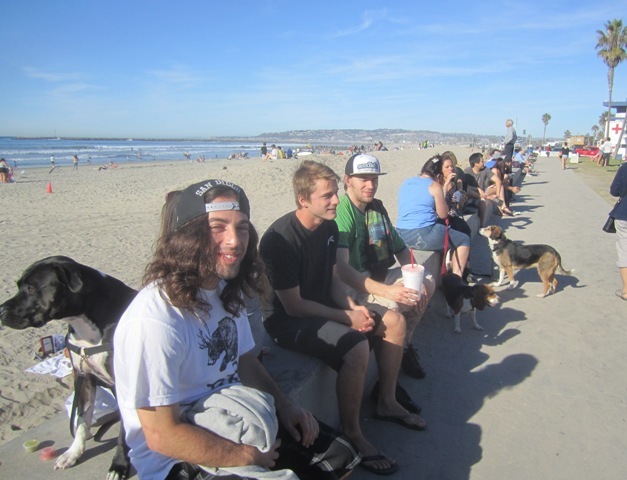 The foot of Newport Ave was just a sunny magical and happenin’ place – a warm winter’s day in OB. It was one of those days that locals beam with pride about, a day that tourists remember. Armed with camera and bicycle I managed to find the magic as I cruised the west end of the Land of OB on an unusually warm afternoon near the end of the year. And I also tried to find any new developments in the land of development and businesses. 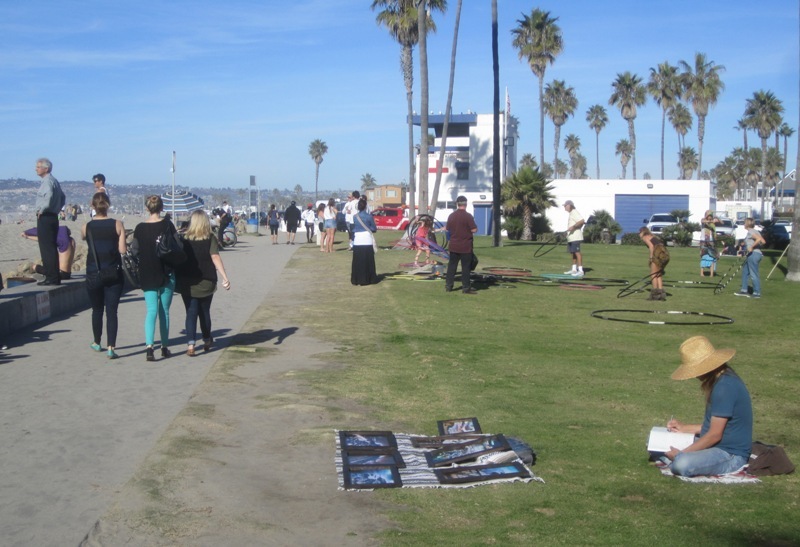 As hula hoopsters gyrated in the grassy area, beach goers and surfers gathered near the water, a shimmering body of quiet pacific until the waves curled up and crashed on the shore. Packed with locals and tourists alike, the Wall was the center of the village, as everyone wanted to share a seat on the historic cement. Larry with his bicycle; Jason with his pals. Three musicians who play every other week at the Lazy Hummingbird were enjoying the scene. 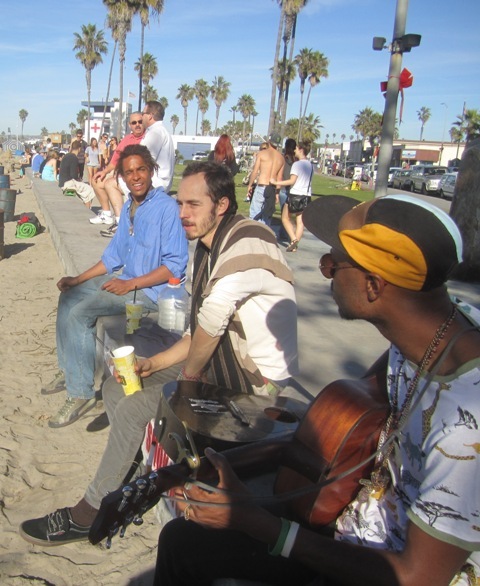 Michael – or “Fungi” – lives in OB and his two pals, Christian and Hayes join him at Danielle’s hot spot on Santa Monica, playing as “the Max Davis Collective”. 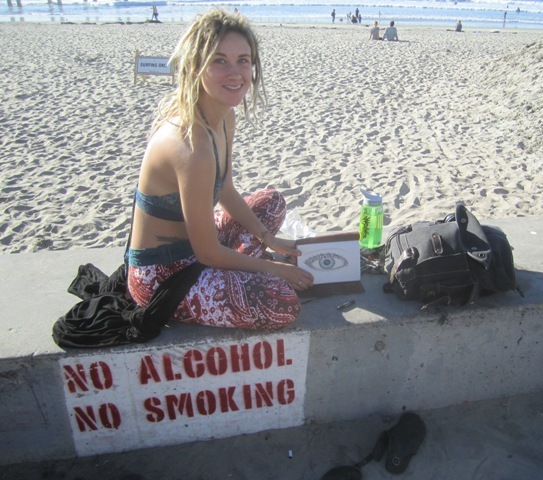 A young woman artist, Jetta, was drawing an eye, taking time off from her job at Sprouts and from SDSU where she goes. 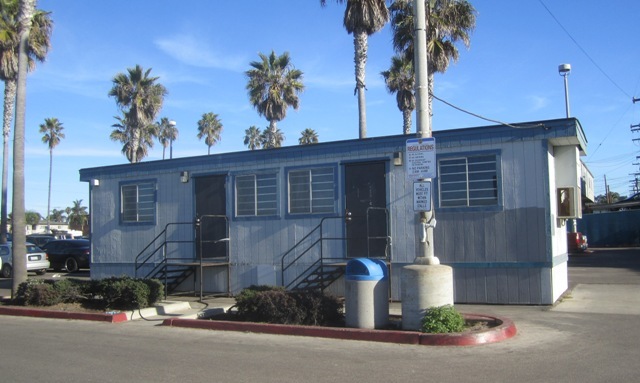 The ol’ Police Trailer was still in the parking lot by the OB Pier – although some say its days are numbered. 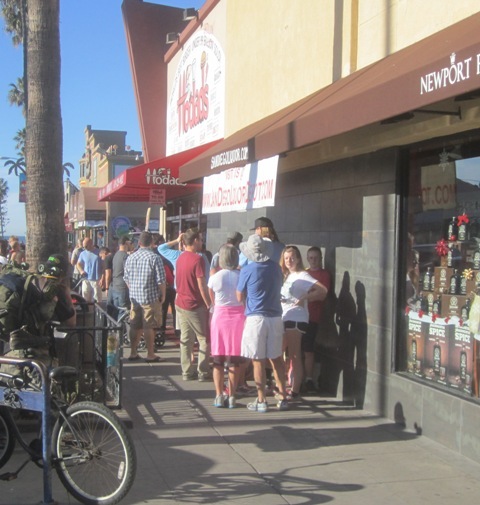 Newport Avenue itself was just jammin’ – as per usual, the tourists were lined up at Hodad’s. But there was no news at the BBQ House expansion, no news at the new Cohn restaurant in the old Portugalia, nothing else appeared to be new on the main business drag. 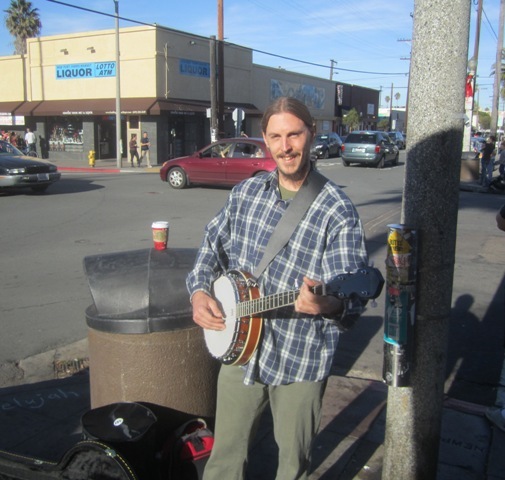 Josh, the banjo player, was entertaining passers-by at the corner of Newport and Bacon. Over at Abbot and Saratoga, the construction of the condos continues unabated. Cement has been poured and progress has been attained. Down at the other end of Abbott Street, we wondered what was going in at the former surfshop next door to the laundry mat. Through the windows, counters and soda machines can be seen. I spoke to Lucas over at Surfrider Pizza, just across the street, and he told me that a small market was going in at the location, 2171 Abbott. 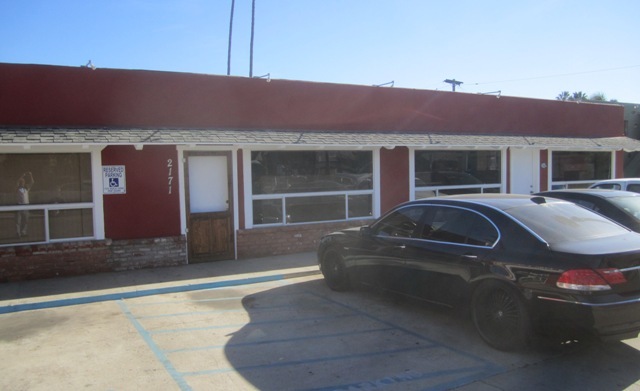 What with the demise of Apple Tree, he said, the new owner was hoping to be part of the solution. 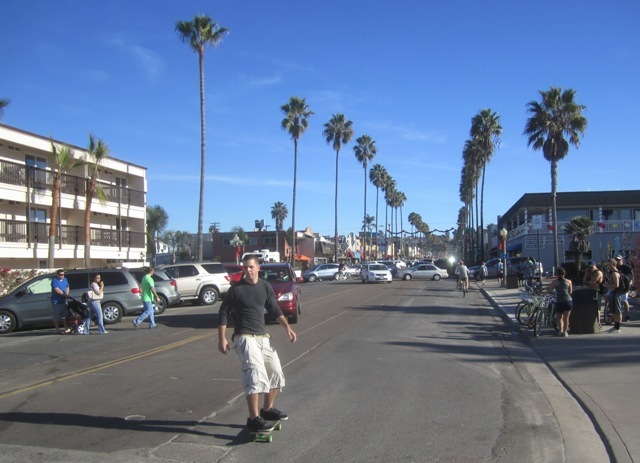 Cruising over to Santa Monica at the intersection with Ebers, the new two-story condos have been readied, despite the lack of set-backs along Ebers. Not everyone was at the beach. 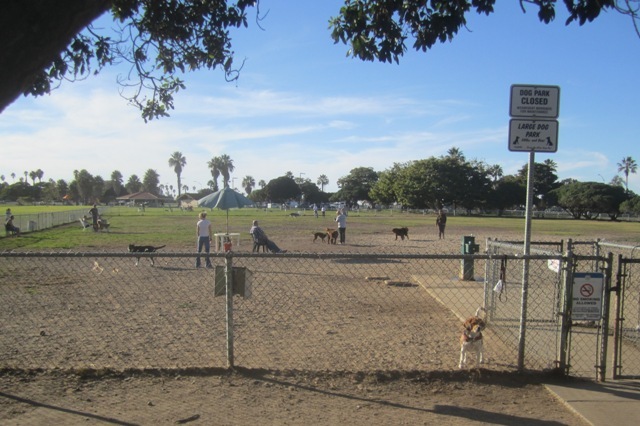 There were plenty of dogs and dog lovers at OB’s “other” dog park – the ol’ Dusty Rhodes Park at the entrance to the beach. As the shadows became longer, the magic of this warm winter day is not easily forgotten. 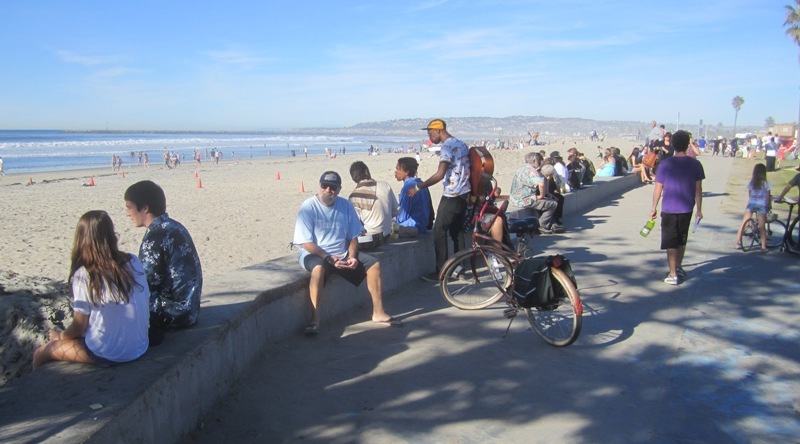 Once again OB has captured its title as the magical beachtown along the shore and reminds us all of the wonders of SoCal in a gentle December moment. If this was Saturday I was at the Tilted Stick and then up to Lucy’s. Awesome day it was for Sure! I had some friends in from out of town, really can’t beat a day like that to show people around. 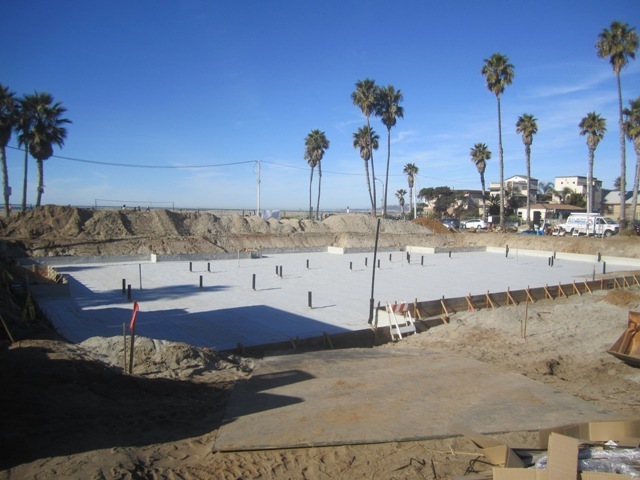 Newer Article: When Was OB’s Lifeguard Station Built?